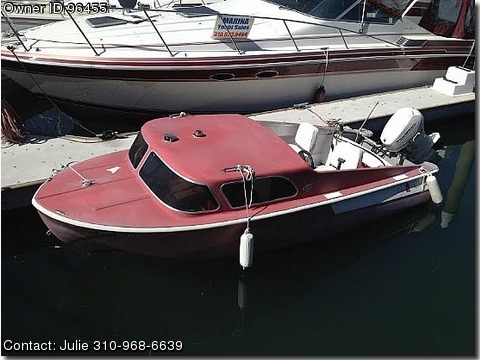 Please ontact boat owner Julie at 310-968-6639. In the summer we purchased this fab little run about speed boat, the 17ft Classic 1958 Dorset catalina, originally designed by Raymond Lowrey who designed the first coke bottle, the Edsel and the Lucky Strike Logo. We are moving and cannot take it with us – It is in great condition and is always admired when out on the waters. Sorry to sell it but excited for it to continue its journey's on the ocean. Please call or email to set up a time to see test drive it.